I am a Shansi Fellow going to India from August 2012 to June 2014 to work at Jagori Grameen, an NGO in Rakkar, Dharamshala, Himachal Pradesh. I’ll be doing a number of things to help Jagori in its mission to aid women and other marginalized groups in addressing discrimination they face and in preserving their collective and individual dignity. These tasks include organizing activities and workshops for adolescent girls on issues of self growth and confidence building, designing and conducting short research projects related to women’s issues, training young Jagori team members to utilize street theater as an educational tool for social change, and teaching rural youth English language skills. This summer, I’ll be studying Hindi at the South Asian Summer Language Institute (SASLI) at the University of Wisconsin in Madison, WI to prepare for my time in India. My blurb on the Shansi site can be found here. For info on other Shansi Fellows in Asia, please click here. 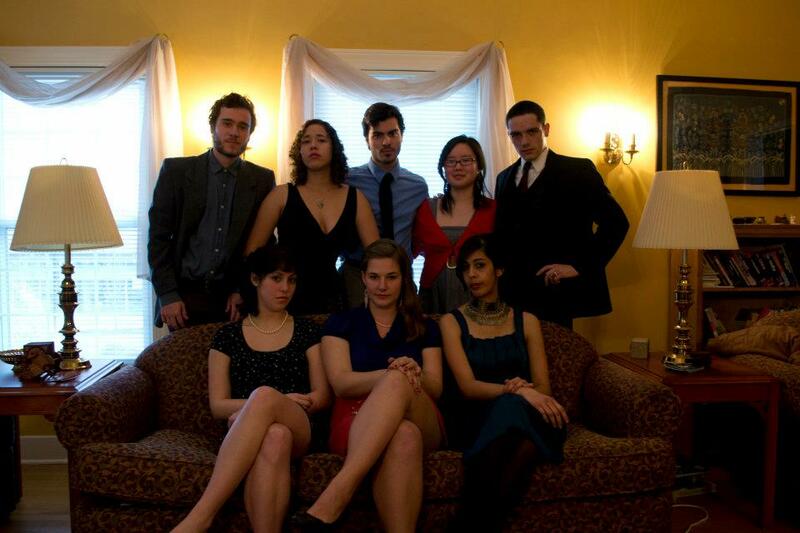 Shansi Fellows from my cohort in a Mad Men-style photo shoot: from top left, clockwise; Cory, Lissette, Tino, Amelea, Ricardo, Naila, Me, Veronica. Photo courtesy of Tino M.